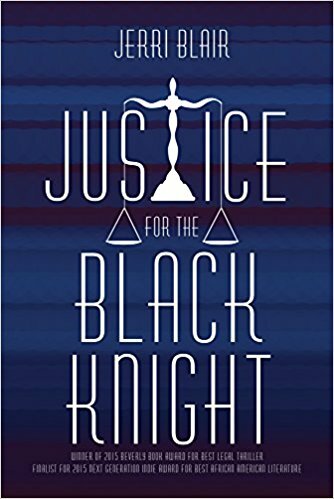 Justice for the Black Knight" won the 2015 Beverley Hills Book Award for Best Legal Thriller. It was awarded the prestigious star by Kirkus Reviews which called it "...superbly crafted...intricately detailed...a must read story of relationships, prejudice and bravery, a vivid paeon for justice." Red City Review wrote that it "...quite astutely tackles the topic of racism, combining the best attributes of legal thrillers like 'The Firm' with the exploratory and contemplative tone of subtle but powerful works of literature like Ralph Ellison's 'Invisible Man." Clarion Reviews called it "...a twentieth century law and order fable...that has the feel of a true crime mystery, coming of age novel, and high stakes courtroom drama rolled into one..." This novel tells the story of Freddie Edwards, a black man on trial for the brutal murder of an elderly white man. Was Freddie a monster or a hero when he took the old man's life? How did he come to be at the place that so dramatically changed his life? This book examines the moment of the crime from every perspective, and leaves it to the reader to decide what Freddie's fate should be.